Description: We can supply tested and fully certified EN12102-2 smoke hatch ventilators for smoke clearance of staircases, smoke shafts and lobby areas. 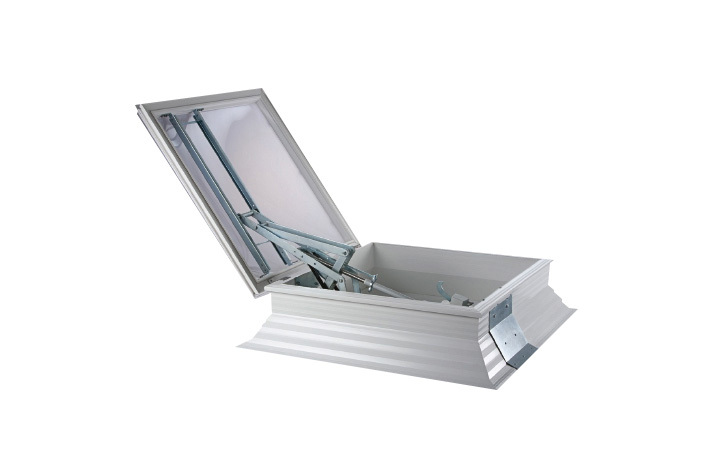 Our hatch ventilators comply with the latest regulations and open to a maximum of 160° within 60 seconds , each with a perspex lid to allow natural light through. The hatches are sold as smoke ventilators sized at 1sqm for staircases, or 1.5sqm for head of shaft ventilation. Opens to 160° within 60 seconds.